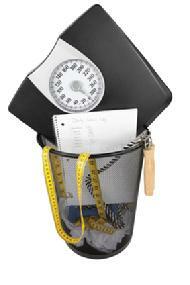 HYPNOTHERAPY FOR WEIGHT LOSS IN RHYL, NORTH WALES. YOU COULD LOSE WEIGHT WITHOUT DIETING! "GET YOUR HEAD IN THE RIGHT PLACE, AND YOUR BODY WILL FOLLOW......."
Weight control without dieting is one of my specialist areas. If you've had enough of dieting, now might be the time to consider hypnotherapy - "Slimming From the Head Down"! In as few as four sessions of hypnotherapy for weight loss in Rhyl, you will find that hypnosis could really help you to reprogramme your eating habits and make peace with food. It's much more fun than dieting, you eat normal foods,and weight loss becomes a happy side effect of easy habit adjustments. You are most welcome to come along for a free 30-40 minute consultation to talk about your dieting experiences and weight loss goals, and to find out how weight loss hypnotherapy in Rhyl and Prestatyn can help you to achieve them. Please do come for a chat to find out how changing subconscious eating habits with hypnosis can lead to weight loss without having to diet.